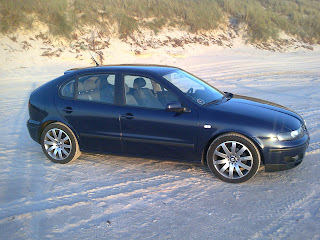 I ended up – quite by accident - driving, as my daily car, a SEAT Leon. I was plagued with an intermittent and utterly myserious fuel feed problem in my Land Rover TD5 and had decided, wisely, I think, that dependability was paramount. A friend of mine, who since regrets it profoundly, offered me his 2002 Leon TDI for a modest price and I agreed to take it home for the weekend just to see what it was like. I was smitten instantly. It was doing almost 60mpg or half that of the Land Rover. It was a great deal faster, and therefore safer when overtaking, than the Land Rover and it handled in a way that suggested to me that it was glued to the road. Quite a revelation, really, so I snapped it up. There were only two downsides. The previous owner, in an attempt to remove a mouldy smell from the air-con had managed to impregnate the entire vehicle with some vile kind of synthetic scents which, at first, dictated that I drive with all the windows open, weather permitting. It still haunts the vehicle in a ghostly form. We refer to the car as the SEAT Aroma. The other is a common fault in cars. It has no long wave on the radio so that I can’t listen to BBC Radio 4. Well, you can’t have everything. I initially fell for what you might call the practical advantages of the Leon. It was economical and fun to drive; it had five seats and a decently sized boot. All of this appealed to the head. Within a few weeks, and despite the fact that the aroma was slow to attenuate, it had claimed something of the heart too. I liked its shape which is so much more attractive than its VW stablemate (and parts bin sibling) the Golf. In profile, it reminds me, in a rather indirect way, of one of my favourite cars of my youth, the Alfetta GT Sprint Veloce which was as beautiful and downright cool as it was possible to be between 1975 and 1980 (the age of big lapels, big hair, big tie-knots, and brown as a fashionable shade). 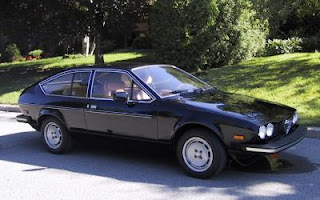 It was also as lovely as it was utterly unreliable, but nobody ever bought an Alfa-Romeo in the belief that it would behave like the Swiss railways. Walter da Silva, now head of design for the whole VW group (which includes Lamborghini and Bentley which must be fun), worked for Alfa Romeo before he was poached by SEAT but I suspect he was too young to have had a hand in the GT. But some of Alfa’s DNA may have travelled with him to Spain and got into the cells of the new Leon. 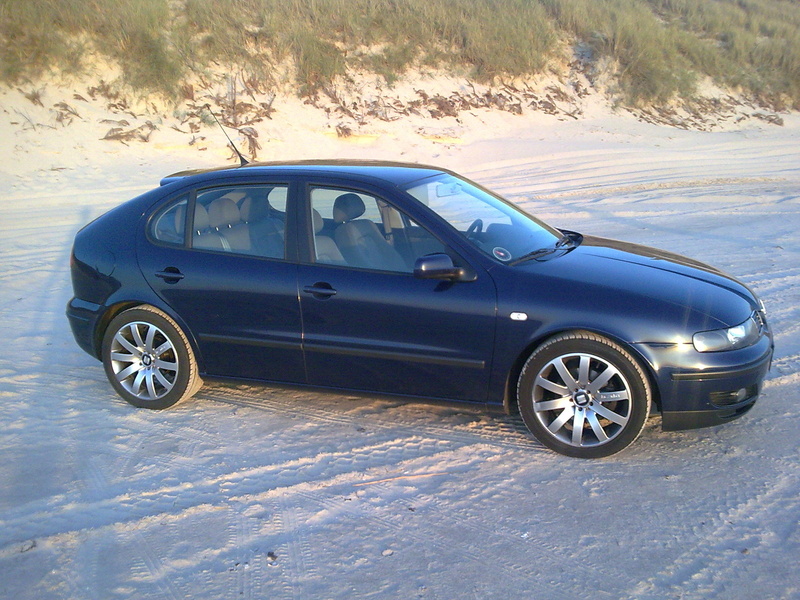 In any case, my somewhat aromatic and slightly battered Leon (the previous owner’s spatial reasoning is, thankfully, something he doesn’t need in his profession) is a proud possession and I always like to return to it, even after driving much more expensive and fashionable cars. (As a fashion statement, a 2002 SEAT Leon TDI ranks somewhere around the ill-cut tweed jacket with fake leather elbow patches, to be honest, but it doesn’t bother me in the slightest). Anyway, that was the kind of circumlocution (stop sniggering at the back!) that one is allowed only in the blogosphere. A print editor would have dictated that I have reached both my word count and my deadline at this stage. And it is by way of introduction to my week with the spanking new and bright red SEAT Leon FR TDI which is something which a decade ago would have been considered a bit of an oxymoron: a diesel hot hatch. Actually, it may be a hatchback (are most cars not, these days?) but it’s rather more spacious and comfortable than the phrase might suggest. OK, it’s maybe not a searingly hot hatch. The version I drove has a mere 150bhp (more than quite a few models in the BMW 3 series range) as against a seriously hefty 181bhp in the faster model. But that’s still pretty powerful, especially in a car of this size, and certainly enough for my daily needs. It lacks the electronic parking brake that VW seem so keen on, but I prefer a good, old-fashioned hand-brake like this. The 6-speed manual gearbox is snappy and you get discreet gear prompts for maximum efficiency (an experience which can be very instructive if you are used to changing gear according the old wisdom, incidentally). Oh, I admit. I loved it. I loved the responsiveness, the mid-range acceleration (which you only miss when it’s not there), the firm but comfortable ride, the sense of connection with the road and reliable feedback. I also loved the look of the thing (despite my younger daughter describing it as “girly”). Those fold lines are rather lovely, are they not? And those sculpted wing mirrors? And even, well in my case anyway, the inside door handles. I think they’re pretty cool. On a totally practical note, sensible driving on the motorway will deliver 70mpg (sorry, but I always think of fuel consumption in old money; it was the way I was brought up), and overall I averaged something in the region of 62mpg. Would I pay over €2700 for the eye-catching “Emocion red” colour? You’re joking. It would bring the cost of the car I drove to a shade over €30k which rather defeats the point of driving this rather delightful SEAT. In a more mundane shade, the version I drove costs just a little under €28k, which is more like it. The entry level model costs €10k less than that, which is stonking value. In summary, a lively car that would serve a young family well. Practical and a lot of fun, and it’s not often one can say that. But it took me only a day or two readjust back to the Leon Aroma.